As the human brain evolved, humans were able to laugh before they could speak, according to a new study. But here's the punch line: Laughter and joy are not unique to humans, the study says. Ancestral forms of play and laughter existed in other animals long before humans began cracking up. "Human laughter has robust roots in our animalian past," said Jaak Panksepp, a professor of psychobiology at Bowling Green State University in Ohio. Panksepp has studied rats and found that when they "play," they often chirp—a primitive form of laughter, according to the scientist. In an article to be published tomorrow in the journal Science, he makes the argument that animal laughter is the basis for human joy. In studying laughter, scientists have focused mostly on related issues—humor, personality, health benefits, social theory—rather than laughter itself. New research, however, shows that "circuits" for laughter exist in very ancient regions of the human brain. As humans have incorporated language into play, we may have developed new connections to joyous parts of our brains that evolved before the cerebral cortex, the outer layer associated with thought and memory. Researchers say that the capacity to laugh emerges early in child development, as anyone who has tickled a baby knows. Cosma Shalizi, whose return to blogging is most welcomed, points to an intriguing article by Lu Hong and Scott Page. "We introduce a general framework for modeling functionally diverse problem-solving agents. In this framework, problem-solving agents possess representations of problems and algorithms that they use to locate solutions. We use this framework to establish a result relevant to group composition. We find that when selecting a problem-solving team from a diverse population of intelligent agents, a team of randomly selected agents outperforms a team comprised of the best-performing agents. This result relies on the intuition that, as the initial pool of problem solvers becomes large, the best-performing agents necessarily become similar in the space of problem solvers. Their relatively greater ability is more than offset by their lack of problem-solving diversity." Why is a nation that considers spending a civic duty approving harsher ways to punish the bankrupt? ...thanks to an almost certain new federal law that the president has vowed to sign, this ending is set to grow unhappier still -- at least for a significant percentage of the one million to one and a half million Americans who file for bankruptcy protection every year and will, as early as this autumn, find it much harder to wipe clean their books and get back on their economic feet. For the credit-card issuers and consumer-finance companies whose well-financed lobbyists backed the bill (whose central provision requires bankrupt debtors with incomes exceeding their statewide median incomes to settle for long-term repayment plans), the results should prove more gratifying. For a nation whose very founding can be viewed as an attempt to free itself from financial burdens thrust upon it by a distant ruler; for a government that is deeply in the red because of its own spendthrift ways; and for a political leadership whose emissaries have been pressuring other countries to forgive Iraqi debt, such a reform raises questions, to put it mildly. In November 1956, Holiday was interviewed by Tex McCreary. She sounds heavy with alcohol and whatever drugs she might have been using, and the conversation is slow and awkward. The interviewer obviously feels it's no good going on with the questions and she was in no fit state to sing, but he has a sudden inspiration. He asks her to recite one of her songs. "I want you to close your eyes, Billie," he says, "and speak the words like a poet. What about 'Yesterdays'?" So that is the sort of performance she might have given if she could appear before us now, and you cannot doubt that everyone listening to her would hold their breath in awe and delight. For those who have Medicare—its payments are near the middle of the range—an office visit for a new patient with a “low complexity” problem (service No. 99203) pays $77.29. A visit for a “high complexity” problem (service No. 99205) pays $151.92. Setting a dislocated shoulder (service No. 23650) pays $275.70. Removing a bunion: $492.35. Removing an appendix: $621.31. Removing a lung: $1,662.34. The best-paid service on the list? Surgical reconstruction for a baby born without a diaphragm: $5,366.98. The lowest-paying? Trimming a patient’s nails (“any number”): $10.15. The hospital collects separately for any costs it incurs. The notion of a schedule like this, with services and fees laid out à la carte like a menu from Chili’s, may seem odd. In fact, it’s rooted in ancient history. Doctors have been paid on a piecework basis since at least the Code of Hammurabi; in Babylon during the eighteenth century B.C., a surgeon got ten shekels for any lifesaving operation he performed (only two shekels if the patient was a slave). The standardized fee schedule, though, is a thoroughly modern development. In case this is of interest, here is an article just published by Irene Gendzier, Professor of History and Politics at the University of Boston, who specialises in the Middle East. This prelude to her latest book mentions our campaign in Britain to hold the US accountable for supplying Iraq with the materials which fuelled its biological weapons programme. There are now 122 MP signatures on the current House of Commons Early Day Motion 'Biological and Toxin Weapons Convention and Iraq' (EDM 303), tabled by Austin Mitchell MP. In the Scottish Parliament, where the same Motion has been tabled (S2M-2050) by Chris Ballance, 19 MSPs have now signed. Many thanks to all who have supported the campaign by asking their MP or MSP to sign and in many other encouraging ways. If we have achieved nothing else, at least a few more people have given thought to this vitally important matter. For example, there have been more than 31,000 hits on the campaign website and there are now numerous links to this site on other websites. And there's more about Geoff Holland here. The artist will begin his search for “The Color of Palo Alto” by photographing every parcel of land in Palo Alto with a digital camera, five days per week, Monday thru Friday. He will alternate between 68 and 69 photos per day. The photographs will be taken alphabetically from the "A" streets through the "Z" streets from January 3 to December 30, 2005. Together with artist Eli Schleifer, who wrote a software program for the project that finds the average pixel color of each digital photograph, Yates will find the average color of each neighborhood, street, and parcel in Palo Alto. In a democratic manner, each parcel in the city will contribute one “vote” of color toward the final color of Palo Alto. The average color of all 17,860 photographs will then become a paint color, to be referred to as “The Color of Palo Alto.” There will also be average colors for each neighborhood, street, and parcel in the city. Into my own comfortable conceptual dichotomy ("behaviorism bad; evolutionism good"), there came an apple of discord when I happened to reread Skinner's Beyond Freedom and Dignity, published more than three decades ago. Please don't misunderstand: I haven't become a convert to behaviorism. 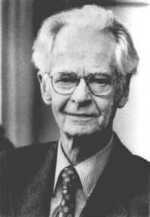 But I have emerged with a deeper respect for B.F. Skinner and his work, and a recognition that in his legacy, not just evolutionary biologists but all scientists have a potent intellectual ally. His research didn't encompass neurobiology, sociobiology, or, indeed, biology at all. But there is no doubt that he "did" science, and moreover, that he provided the rest of us with some conceptual tools and arguments that will help us along our way. 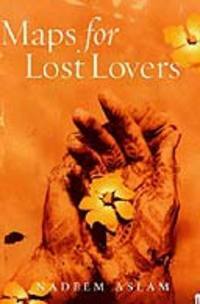 Maps for Lost Lovers, which took Nadeem Aslam 11 years to write, was declared in San Francisco as joint winner of the annual Kiriyama award, which aims to raise understanding of the peoples of the Pacific rim and south Asian diaspora. The novel is a combined love story and murder mystery set in a poor south Asian enclave where a local curse is "May your son marry a white woman". It centres on Kaukab, a pious Muslim woman who relies on her faith to ease her feelings of estrangement from her homeland of Pakistan and from her husband and westernised children. It dramatises both white and Asian racism and deals with arranged marriages and Muslim divorce. Aslam, 39, who won literary awards for his first novel Season of the Rainbirds, is the son of Pakistani parents who settled in Huddersfield in the 1980s. "I'm wide awake and ready to paint the house," the 49-year-old Colchester, Vermont, resident said. "I don't need a cup of coffee to get going, not at all. But between 4:00 and 5:00 [p.m.] you might have to nudge me with an elbow." Middlebrook suffers from what is known as familial advanced sleep phase syndrome, or FASPS. Her body's clock is out of sync with the sleep-wake rhythm most of the world lives by. She goes to bed each night between 5:30 and 7:30 p.m. and wakes in the wee hours of the morning. "The net result is you can feel very isolated," Middlebrook said. "Who wants to party at three in the morning? Nobody I know, and I'm not headed to the local bar to see who's still there." Instead, she quietly cleans the house, makes breakfast, or cuddles up with a book. About three-tenths of a percent of the world's population lives like this, including two of Middlebrook's sisters, her daughter, and her mother. "Their whole clock is shifted," said Ying-Hui Fu, a neuroscientist at the University of California, San Francisco. Fu and colleagues report in tomorrow's issue of the science journal Nature on a newly discovered mutation to a single gene that they say causes FASPS. In addition to FASPS, four of the five individuals showed signs of depression, Fu said. "[The depression] is most likely caused by the same thing," she said. "As we probe deeper into how this mutation causes sleep problems, it very likely will also give insight to how the mutation will cause depression." One of the tiniest entities in the human genome is becoming a very big deal in biology, with implications for the treatment of cancer, diabetes and brain disorders. MicroRNA, or miRNA, was considered relatively unimportant less than a decade ago. The tiny bits of RNA play a part in gene regulation, which involves how and when genes turn on and off. When the human genome proved to have fewer than 25,000 genes instead of the 100,000 or so that many scientists predicted, gene regulation became the focus of much attention. Suddenly it wasn't the genes themselves that held the most intrigue, but the things that influence their behavior and the proteins that the gene-regulation process produces. MiRNA seems to stifle the production of proteins exclusively -- a function opposite that of its better-known relative, messenger RNA, or mRNA, which translates instructions from genes to create proteins. Researchers estimate there could be anywhere from 200 to 1,000 miRNAs -- the range is wide because miRNAs are so small, making them difficult to detect. Gary Ruvkun, a Harvard University researcher and pioneer of miRNA research, has called the tiny entities "the biological equivalent of dark matter, all around us but almost escaping detection." In a paper published in the Jan. 14 issue of Cell , David Bartel of the New York University School of Medicine predicted that miRNAs could regulate 30 percent of all human genes. It has cost $24 million and taken more than 1300 scientists in 95 countries four years to put together. This week, the first ever global inventory of natural resources was finally published. Its overwhelming conclusion: we are living way beyond our means. But amid the doom and gloom there is hope. According to the MA, which is backed by the UN, the World Bank and the World Resources Institute, there is still tremendous scope for action that could mitigate these problems. "The future is in our hands," Robert Watson, MA project leader and chief scientist for the World Bank told New Scientist. One of the toughest things about being a Jew in today's America is that everyone assumes you are innately hilarious. It's not the worst stereotype—better to be the comedians than the ones with the noses. Sometimes, though, it makes otherwise clever writers get lazy. David Deutsch and Joshua Newman's The Big Book of Jewish Conspiracies is a funny joke in the form of a sloppy book. Jews, according to the book's premise, are behind most of the major events in history, especially the catastrophic ones. The bubonic plague? Naturally. Feminism? Of course. September 11? You get the idea. Sometimes the Internet is like that. The traditional objects of culture - books, movies, art - are becoming ever more distant. In their place are reviews of reviews, museums of museums and many, many lists. Ron Hogan, who writes a literary blog called Beatrice.com, recently began a second blog, Beatrix: A Book Review Review. He's not the only one reviewing reviewers. The blogs Bookdwarf, Conversational Reading, The Elegant Variation, Golden Rule Jones, The Reading Experience and Confessions of an Idiosyncratic Mind - all gloss, grade or review other people's book reviews. On Gawker.com, a writer known as Intern Alexis reviews The New York Times Book Review. More here. And our own Morgan Meis had already proposed the Review of the Review Review here first! It's official: H.P. Lovecraft isn't just some creepy schoolboy's secret literary fare anymore, but a bona fide Amercian Author. At least that's how I read the Library of America's recent publication of Lovecraft's Tales, edited by Peter Straub. Why all the sudden interest in Lovecraft? The Believer recently published French enfant terrible Michel Houellebecq's essay on Lovecraft and intends to publish Lovecraft: Against the World, Against Life at some point soon. (Lovecraft is to Houellebecq what Poe was to Baudelaire; I'm not sure what it is about ornate American works of terror that so rivets the French imagination, but hey.) Nick Mamatas of the Fortean Bureau has already pointed out that Lovecraft entered "the Canon" (if you're worried about such things) when Penguin published his work. Meanwhile, Laura Miller finds both Lovecraft and his admirers a little loathsome in her firm but pretty fair Salon review. Miller rightly dwells on Lovecraft's pathological racism (see, e.g., Lovecraft's "Rats in the Walls"), but that never slowed down the Canonization of Chandler or Jack London either. More provocatively, Miller asks Why Lovecraft? when Edmund Wilson doesn't have a Library of America volume yet. The answer, I think, has something to do with Lovecraft's strange enduring influence, his weird mythology the nightmare American version of J.R.R. Tolkien's steadily increasing stock, which is something other than strictly literary. I have one Lovecraft theory, rather political in nature, which I wouldn't go out on a limb to defend. When a continent is conquered by war, slavery, and racial extermination, the landscape, only seeming to lack a persistent cultural memory, could come back to haunt us, with monsters bred out of the sleep of reason. In this sense, I see Lovecraft in a line with William Burroughs, whose conclusion from a superficial and exoticized look at the native culture of Central and South America, in addition to the white madness that displaced it and the native peoples of North America, was that America was simply an evil land. It is surely right to place Lovecraft's externalized demons back into his head, biographically speaking, but there's something odd and inexplicable about his cultural persistence. What it boils down to, perhaps, is not only that America is haunted, an "old world" also (at last, the truth admitted), but also that in Lovecraft we see the ultimate denial and dramatic reversal of the original American Dream of Starting Over in an Edenic land of boundless possibility and natural beauty. Following on Alex Cooley's editorial, here's a report on how the West's support for opposition newspapers helped in the downfall of Akayev. "Shortly before Kyrgyzstan's recent parliamentary elections, an opposition newspaper ran photographs of a palatial home under construction for the country's deeply unpopular president, Askar Akayev, helping set off widespread outrage and a popular revolt in this poor Central Asian country. In addition to the United States, several European countries - Britain, the Netherlands and Norway among them - have helped underwrite programs to develop democracy and civil society in this country. The effort played a crucial role in preparing the ground for the popular uprising that swept opposition politicians to power." Alex Cooley writes on events in Kyrgyzstan. "The revolution in Kyrgyzstan not only represents a new opportunity for the Kyrgyz people, but also for Western governments that have failed to support true democratization in post-Soviet Central Asia. The West must abandon its support for regional strongmen who merely profess to be Western-oriented, and should set the same expectations of democratic governance for them as it has for other post-Communist states. In fact, the United States and European governments share some responsibility for the Kyrgyz regime's years of incompetent and corrupt rule. Immediately after the dissolution of the Soviet Union, Kyrgyzstan stood out as the only Central Asian country that appeared willing to break from its Communist past. Its new president, Askar Akayev, was a charismatic former scientist who promised to enact Western-style democratization and pursue economic liberalization, hailing his small country as the 'Switzerland of Central Asia.'" Economist Paul Seabright is fascinated by human cooperation. Mistrust and violence are in our genes, he says, but abstract, symbolic thought permits us to accept one another as "honorary relatives"—a remarkable arrangement that ultimately underlies every aspect of modern civilization. In developing these ideas for his latest book—The Company of Strangers: A Natural History of Economic Life—Seabright traveled widely, especially in Eastern Europe and Asia. He currently lives in southwest France, where he teaches economics at the University of Toulouse. 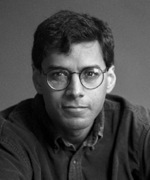 American Scientist Online managing editor Greg Ross interviewed Seabright by e-mail in March 2005. You point out that human society has led us to interact as strangers only in the last 10,000 years, while we still carry deeper instincts toward violence and suspicion of outsiders. How fragile is the social contract? How full is the glass? It can seem extraordinary that the vast complexity of human cooperation—from road traffic patterns to markets, the Internet and the systems that keep our houses and cities safe—should rest on nothing more solid than social convention, as though civilization were founded purely on table manners. I may think my property is secure and my life reasonably protected, but that is only because the rest of the world has agreed, for the time being, to let them be so. And what people have agreed to respect today they can agree to violate tomorrow. Yet it is just as remarkable how robust many of our conventions turn out to be in practice. Partly this is because conventions govern our reactions to people as roles and not just as individuals—an assassinated president can be replaced by a vice president, and the system as a whole can go on functioning, with people listening to the new president much as they would have listened to the old. Partly it is because the hydra of social life has too many heads to be easily incapacitated: The conventions that sustain our physical security are not coordinated in one place, such as the U.N. or the Pentagon, but are the result of billions of individual decisions concerning how we react to neighbours, friends and colleagues. Some circumstances—the genocide in Rwanda, for instance—upset those conventions radically, so that neighbours, friends and colleagues become each others' greatest threat. But those circumstances are—fortunately—rare, and the capacity of societies to recover from them has historically proved remarkable. The fact that hair grows quickly and is continually replenished makes it an attractive source to harvest the amount of stem cells needed for treatments. This has been a major stumbling block of stem cell research, as well as controversy surrounding the ethics of harvesting cells from embryos. The Proceedings of the National Academy of Science study shows nerve cells can be grown from hair follicle stem cells. Read more here as reported by BBC. (Image: COURTESY OF THE PROCEEDINGS OF THE NATIONAL ACADEMY OF SCIENCES). Inside a hair follicle is a small bulge that houses stem cells. As hair follicles cycle through growth and rest periods, these stem cells periodically differentiate into new follicle cells. Yasuyuki Amoh of AntiCancer, Inc. and his colleagues isolated stem cells from the whiskers of mice and tested their ability to become more sophisticated cell types. The researchers cultured the cells and after one week discovered that they had changed into neurons and two other cell types--known as astrocytes and oligodendrocytes--that are associated with neurons. According to the report, when left for longer periods lasting weeks or months, the stem cells could differentiate into a variety of cell types, including skin and muscle cells. The asteroid that struck the Yucatan Peninsula 65 million years ago presumably initiated the extinction of the dinosaurs. The huge collision also unleashed a worldwide downpour of tiny BB-sized mineral droplets, called spherules. The hard rain did not pelt the dinosaurs to death. But the planet-covering residue left behind may tell us something about the direction of the incoming asteroid, as well as possible extinction scenarios, according to new research. The falling spherules might have heated the atmosphere enough to start a global fire, as one example. Now his decades-long absence-what Trivers's friends and colleagues refer to as his ''fallow period''-finally seems to be ending. In 1994 he left Santa Cruz (''the worst place in the country,'' he now calls it) for Rutgers, and this spring he's back at Harvard as a visiting professor of psychology. A major new book on genetic conflicts within individual organisms, coauthored with Austin Burt, a geneticist at Imperial College London, is due out next spring from Harvard University Press. And thanks to Brockman-agent to some of the biggest names in science-he's under contract with Viking Penguin to write a popular book on the evolutionary origins of deceit and self-deception, one that will argue that humans have evolved, in essence, to misunderstand the world around them. Trivers thinks it could be the most important topic he has yet studied. 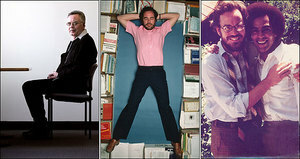 In 1976, the Oxford zoologist Richard Dawkins would popularize Hamilton's ideas in his book ''The Selfish Gene.'' But more than anyone else, it was Trivers, then a graduate student, who grasped the profound implications of Hamilton's work. In a way, Trivers's legendary papers of the early 1970s were simply a series of startling applications of its logic. Prachi Patel Predd writes in Nature: Electric currents are being used to move bacteria around silicon chips and trap them at specific locations. The technique could help to assemble nanomachines from miniature parts, and to create a new generation of biological sensors. Nanodevices are typically built by connecting tiny components. But such a delicate task is not easy. So, many researchers are exploring ways to fix components in place using the binding properties of biological molecules, notably DNA. Robert Hamers and his colleagues from University of Wisconsin-Madison propose using entire microbes instead. The cells have surface proteins that attach to certain biological molecules. Once the cells are placed at specific sites on a silicon wafer, nanoparticles tagged with these molecules can bind to the cells in those locations. This is easier than dragging the nanoparticles themselves to the right spot, because their high density makes them harder to move through fluid media than the less dense living cells. The technique gives one a way to fix components such as quantum dots or carbon nanowires at very precise locations, explains Paul Cremer, a bioanalytical chemist at Texas A&M University in College Station. "That's potentially very exciting," he says. Golden rods: The researchers use Bacillus mycoides, rod-shaped bacteria that are about 5 micrometres long. 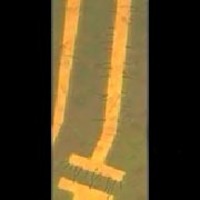 They pass a solution containing the cells over a silicon wafer with gold electrodes on its surface. The charge on the electrodes captures the bacteria, which flow along the electrodes' edges like luggage on a conveyor belt. The electrodes have tiny gaps between them. When a bacterium reaches a gap, it is trapped there by the electric field. It can be released by reducing the field between the electrodes, or permanently immobilized by increasing the voltage enough to break its cell wall. The study of embryonic stages across the animal kingdom--comparative embryology--flourished from 1830 on. Consequently, when On the Origin of Species appeared in 1859, Charles Darwin knew that the embryos of all invertebrates (worms, sea urchins, lobsters) and vertebrates (fish, serpents, birds, mammals) share embryonic stages so similar (which is to say, so conserved throughout evolution) that the same names can be given to equivalent stages in different organisms. Darwin also knew that early embryonic development is based on similar layers of cells and similar patterns of cell movement that generate the forms of embryos and of their organ systems. He embraced this community of embryonic development. Indeed, it could be argued that evo devo (then known as evolutionary embryology) was born when Darwin concluded that the study of embryos would provide the best evidence for evolution. Darwin's perception was given a theoretical basis and evo devo its first theory when Ernst Haeckel proposed that because ontogeny (development) recapitulates phylogeny (evolutionary history), evolution could be studied in embryos. Technological advances in histological sectioning and staining made simultaneously in the 1860s and 1870s enabled biologists to compare the embryos of different organisms. Though false in its strictest form, Haeckel's theory lured most morphologists into abandoning the study of adult organisms in favor of embryos--literally to seek evolution in embryos. 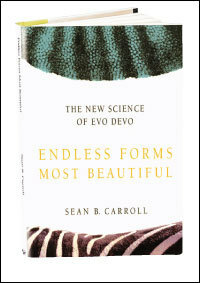 History does repeat itself; 100 years later a theory of how the body plan of a fruit fly is established, coupled with technological advances, ushered in the molecular phase of evo devo evaluated by Carroll. It’s customary to file Reich under the minimalism tag, but the label is proving to be less and less useful these days. The steady pulse and gradually shifting rhythms are still there, but his best pieces are so complex, with so many compositional elements, that the label rings hollow. George Steel, Miller Theatre’s director and the host of the "Composer Portraits" series, agrees. "It’s a useful term, because people sort of know you mean Steve Reich or people following Steve," he says over the phone from his office. "But is there a minimal amount of material? No, they’re very rich pieces." Perhaps a better label would be Steve Reich, The Artist Formerly Known As a Minimalist. As part of its Composer Portraits series, the Miller Theater is devoting an evening to Steve Reich, with two of his major scores performed by the inventive So Percussion ensemble. For So Percussion (above), the timing is perfect: the group just released a fantastic recording of one of these works, "Drumming," on the Canteloupe new-music label. "Drumming," composed in 1971, is a pivotal work in Mr. Reich's catalog, and it has been getting lots of performances lately (the most recent by Tactus, a student ensemble at the Manhattan School of Music, just a couple of weeks ago). It draws on the techniques that Mr. Reich had explored in his early "phase" pieces - works in which two lines that begin in unison move out of phase as beats are displaced, creating increasingly complicated webs of rhythm, timbre and psycho-acoustic effect. But it also looks back at his studies of African drum techniques. A performance can take on an almost ritualistic appearance; in fact, as the performers moved gradually from bongos to marimbas to xylophones and then to a combination of those instruments, plus voices and a piccolo, a listener can imagine an exotic hybrid of a gamelan orchestra and a factory production line. The other work on the program, Sextet, was composed in 1984, at a time when Mr. Reich was taking stock after the composition of "The Desert Music," a substantial piece for orchestra and chorus. Sextet, for four percussionists and two keyboard players (who double on pianos and synthesizers), begins with a figure from "The Desert Music" but then moves in its own direction. The quartet, So Percussion, has been performing Reich's "Drumming" since its formation in 1999. Who better than these young, talented musicians to tackle the difficulties of Reich's famous score for percussion? One of the most eloquent and inventive spokesmen in the world of minimalist music, the composer became intrigued with rhythm at an early age; his interest in Asian and African music came later. "Drumming," the devlopment of a single rhythmic figure inspired by Reich's experiences in Ghana, helped make him a celebrated figure and has been widely performed. 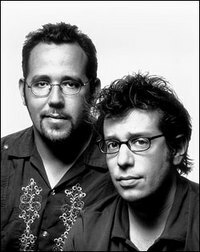 It would be hard to imagine a more persuasive performance then So Percussion's -- accurate, engaged and rich in vitality. Rarely does Western percussion sound so varied. The Kierkegaardian tempest needed Copenhagen’s teapot.